You could have the best call center software in the world, but if you are having to go back and forth between different programs or platforms, time will be wasted. Integrations help us simplify our work tasks, and cut down on wasted time. The process of bridging the gap between two pieces of software, or even platforms, was previously a complicated one requiring hours of developing. 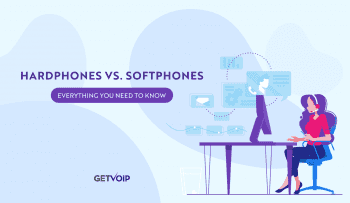 Previously, integrating the popular Salesforce CRM with your VoIP service was a bit of a DIY and complicated approach. Times of course have changed, and thanks to APIs integrations are plentiful, and more importantly simple – coming full circle on the idea itself. With simple integrations, we can make our days simpler. Less jumping back and forth looking for the right place to be means a more efficient and productive day. 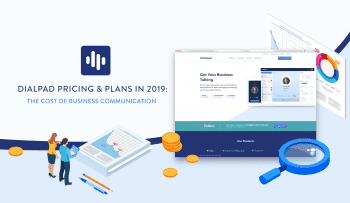 On the rise, as one of the leading cloud based business telephony providers, Dialpad is no stranger to the nature of integrations. 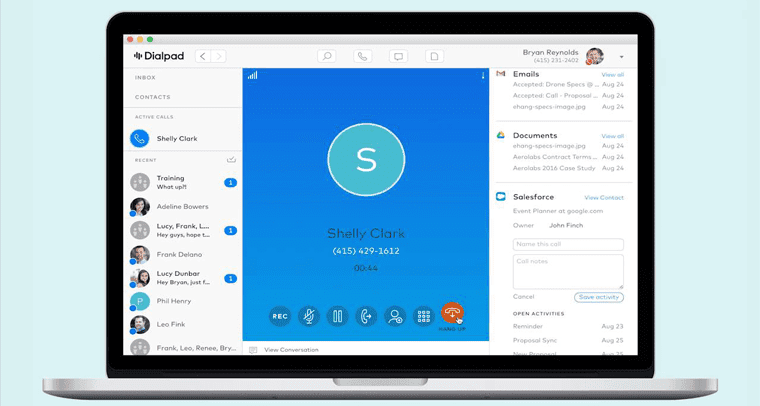 Set out with the goal to “software-ize telephony,” Dialpad delivers on a seamless, software only solution and has even partnered with Salesforce to bridge the gap your communications platform and CRM software. Integrations are quickly popping up everywhere, and allow us to transform previously standalone apps into command centers for all of our work – for example we took a look at how Slack integrations can help manage remote workers. As one of, if not the, largest name in the CRM industry, it makes sense Dialpad would choose to partner and integrate its platform with Salesforce. Both providers aim to simplify work, and help users stay on top of all their relevant information and communication channels in one place – Dialpad with that specific focus on digital and software only. So, it makes sense for the two to come together, and whether you are currently utilizing both solutions or shopping for a CRM or UC provider, the integration between Dialpad and Salesforce is a powerful one worth considering implementing for your team. The real power of this specific integration is to display your contact’s profile directly in the Dialpad interface, helping agents save time. As we know with the addition of predictive dialers, efficiency one of the absolute key points of focus for contact centers. To break it down even further, we will take a closer look at each of these use cases in depth. 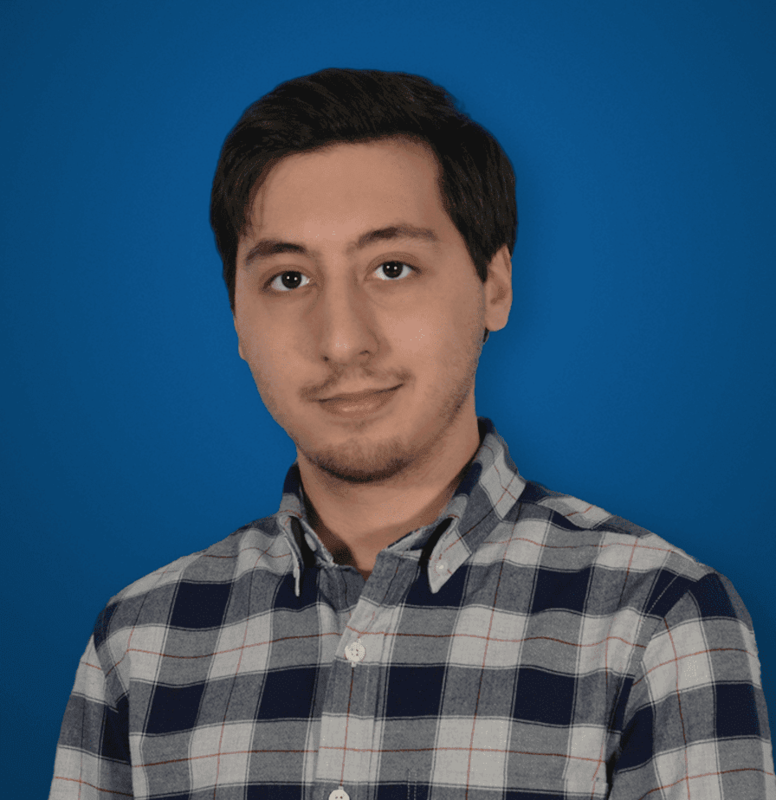 Thanks to the many developments in APIs, adding in an integration is incredibly simple. However, taking things one step further, Dialpad makes establishing an integration with Salesforce even simpler. At this point it is worth noting that the integration is only available for users subscribed to Pro and Enterprise Dialpad accounts, but the process is the same for both. Contact Dialpad to enable the integration. If any cross-directory matches are found, the information will be displayed under the Salesforce Section of your contact’s profile – multiple matches that are found will also be listed. But Why Should You Integrate Platforms? CRM is no stranger to integrations, in fact we put together a list of crucial CRM integrations team’s should incorporate in their solutions. The major features and benefits gained from this integration can almost be boiled down to two important aspects – the ability to view and reference all of your Salesforce information directly under your contact’s profile in Dialpad, and the ability to log Salesforce activity will still in the Dialpad app. In fact, not the only, but the major reason to integrate software solutions is for this exact effect – with all your information in one app, the same one used to communicate, there will be less confusion and time wasted. Any open activities – current open tickets, cases, issues etc. 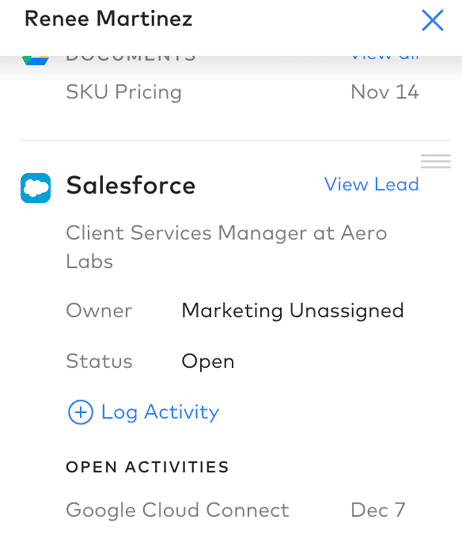 Agents can now log any and all relevant activity otherwise stored in Salesforce, directly through Dialpad with this integration. This can seem confusing at first glance, but depending on how a user goes about logging an activity in Dialpad, will change the end result in Salesforce. All calls, inbound and outbound, will be automatically logged as completed activities as long as the contact’s information is linked between apps. 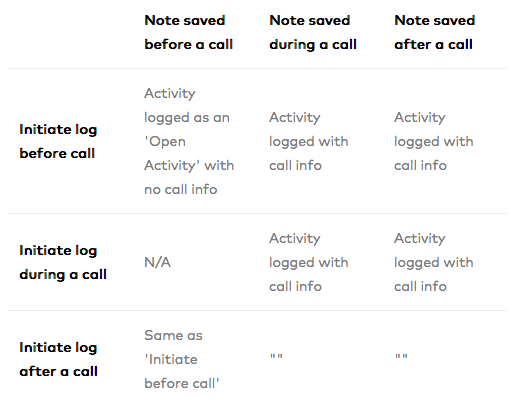 Open Activities are created by logging activity BEFORE a call is placed or AFTER the call has ended. Completed Activities are created by starting a log while still ON the call, saving the log, and then hanging up. Cancelled calls will still be logged if they last longer than 5 seconds. Calls made through the Dialpad Chrome extension will also be logged. 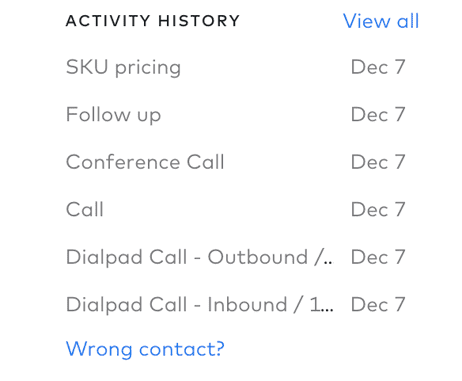 Subject – What platform made the call (most likely a Dialpad Call), inbound or outbound and call duration information. Call Type – Specific information regarding the context of call itself. Start Date/ Due Date – Users can date when calls are made or received, or set an upcoming date to do so. Integrations topped our list of the biggest Unified Communications trends we expect to see later this year in 2017. Integrations establish a seamless flow of work, allowing users to link together multiple platforms to improve efficiency, and contact knowledge. The process is incredibly simple thanks to APIs, in fact even more simple than most other API integrations with the heavy lifting being completed by Dialpad. Any little edge that your team can enact to improve knowledge, resources, and efficiency by linking together multiple solutions – you should jump on the opportunity whenever possible. If your team is already utilizing a Pro or Enterprise Dialpad plan along with Salesforce, enabling the integration is a no-brainer. If your business is utilizing Dialpad, but need a CRM provider (or vice-versa requiring a Hosted PBX provider), then it would be worth adding Dialpad or Salesforce into your list of consideration. Through integrating Dialpad and Salesforce, contact centers or any other teams that utilize both a CRM with their UC stacks can benefit massively from what in reality is such a minor change. We are moving towards fully integrated solutions such as Nextiva’s new NextOS from the start, but until the entire industry completes that shift we have integrations and APIs to get the job done.